In 2018, Kingsley Associates surveyed more than 2 billion square feet of office, industrial, medical office, and retail properties across the United States. Across all property types, overall tenant satisfaction increased in the last quarter of 2018, except for the retail sector where satisfaction remained steady. Kingsley Associates’ data suggests positive relationships and experiences with the property management team lead to greater satisfaction with the tenant experience. While factors such as cost and location are important, managerial problem resolution, communication, service delivery, responsiveness and accommodation of special requests are the most significant factors in tenant satisfaction and therefore highly affect tenant retention as well. Satisfied tenants in all sectors are much more likely to renew their leases when the time comes. 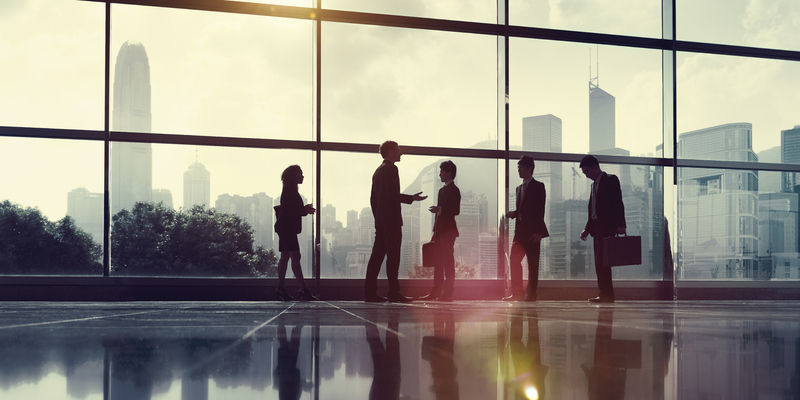 National office tenant satisfaction grew slightly in the fourth quarter of 2018, with a .4 percentage point increase. This increase marks a four-quarter growth period from 84.9 percent of tenants indicating they are satisfied in the first quarter of 2018, to 87.1 percent this past quarter. The office sector saw the highest satisfaction scores in over two years in this past quarter, but the scores were still unable to reach the levels previously seen in 2014, which ranged from 88.5 percent to 88.9 percent. At its height, satisfaction levels reached 89 percent in the first quarter of 2015. In this past quarter, the most influential drivers or overall tenant satisfaction were management-related factors such as problem resolution, communication, service delivery, responsiveness to tenants and accommodation of special requests. Overall tenant satisfaction in the industrial sector is relatively volatile compared to the office sector. Over the past five years, overall satisfaction with the tenant experience has ranged from a low of 79.9 percent in the second quarter of 2014 to a peak of 86.9 percent in the third quarter of 2016. Tenant satisfaction is also generally lower than that of office tenants. The last two quarters of 2018 saw industrial national tenant satisfaction increase from 83.7 percent to 84.5 percent. Similar to office, and other sectors, as will be seen below, key drivers of satisfaction in the industrial sector were tied to management-related areas such as problem resolution and accommodation of special requests in this past quarter. National levels of overall satisfaction in the medical office sector are currently at an all-time high. There has been an upward trend developing since the first quarter of 2017. While little there is generally little variability from quarter to quarter in the medical office sector, this past quarter saw an increase of 0.8 percentage points from 84.4 percent in the third quarter to the current high of 85.2 percent satisfied. Medical office tenants have similar drivers of overall satisfaction as other sectors such as management responsiveness, communication, and attentiveness to their specific concerns. However, this is only sector that has additional key drivers of overall satisfaction beyond property management at the top of the list. The value that tenant perceive in relation to what they pay for their space highly influences their overall satisfaction. In the last five years, there has been little consistency in tenant satisfaction within the retail sector. Retail tenants generally have lower satisfaction scores across the board compared to other commercial property types. There have been several sharp drops and steep increases in retail tenant satisfaction over the years, especially from 71.8 percent in the third quarter of 2014 to 64.2 percent in the first quarter of 2015; a sharp drop of 7.6 percentage points in just six months. Despite a decrease in satisfaction at the start of 2018 from 73.3 percent in the first quarter to 71.4 percent in the second quarter, the past two quarters have been steady at 72.1 percent of tenants satisfied. In the retail sector, just as in the other sectors, management-tenant relationships are the most important factor of overall satisfaction. Addressing tenant concerns, overall communication, and problem solving are all key parts of the management-tenant relationship. Improving that relationship will drive an overall improvement in tenant satisfaction. The full industry trend analysis can be found on Commercial Property Executive.